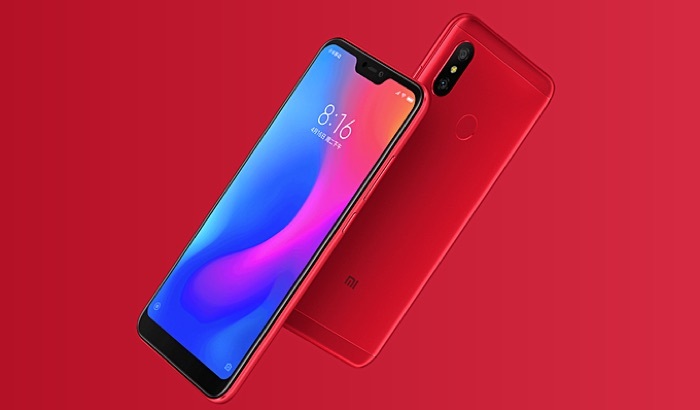 The new Xiaomi Redmi 6 Pro smartphone is now official, the handset comes with a 5.84 inch display with a FHD+ resolution of 2280 a 1080 pixels. The display on the device also comes with a 19:9 aspect ratio. The device is powered by a Qualcomm Snapdragon 625 mobile processor and it comes with a choice of 3GB of RAM and 32GB of storage, or 4GB of RAM and 32GB or 64GB of storage. Other specifications on the Xiaomi Redmi 6 Pro include high end camera on the front and back. On the front of the handset there is a 5 megapixel camera for Selfies and video calls. On the back of the device there is a dual camera setup with one 12 megapixel camera and one 5 megapixel camera. The handset also comes with a fingerprint scanner on the back and it features dual SIM cards slots, a 4000 mAh battery and MIUI 9. The device will be available in a range of colors which will include Cherry Blossom Powder, Flame Red, Bali Blue, Stone Black and Sand Gold. The handset will go on sale on the 26th of June and will cost CNY 999 which is about $153 at the current exchange rate.